Look closely and you’ll find a white-ish fur ball not ready to get out of bed and face the day yet. 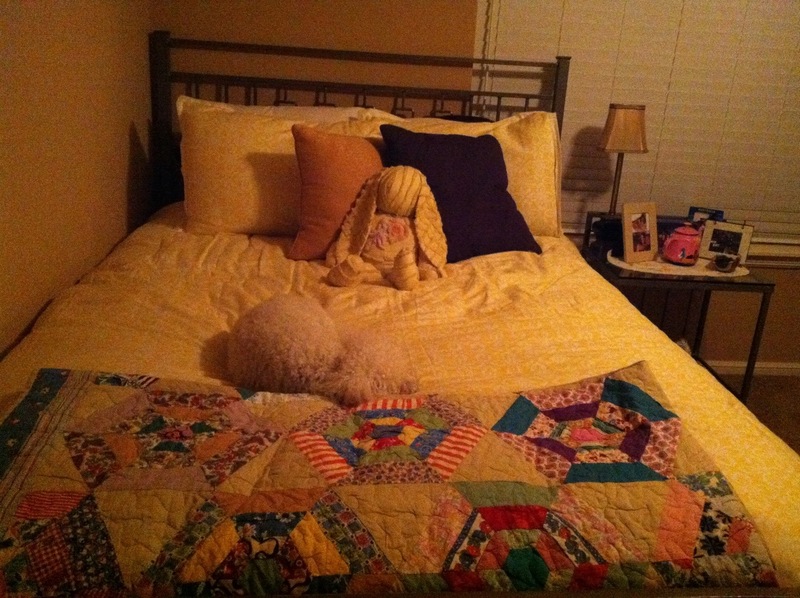 That is my baby girl Elouise lying on my freshly made bed, new comforter and all. Thanks Momma!